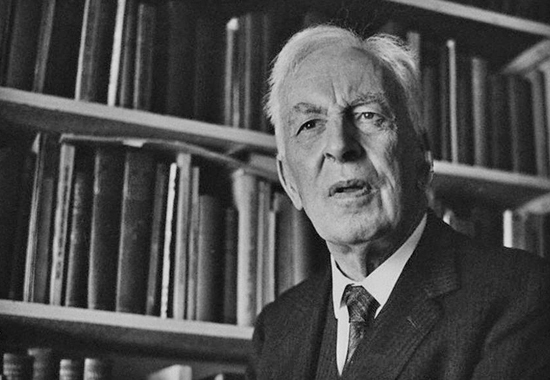 Arnold Joseph Toynbee's major work was A Study of History, which filled 12 volumes. Critics point to Toynbee's occasional religious undertone as well as his moral and philosophical views that are sometimes felt a little bit too strong coming from a historian, so they argue. In any event, Toynbee had an incredible output. Among his many other works is Hannibal's Legacy. Toynbee was born at London, son of Harry Valpy Toynbee and Sarah Edith née Marshall. He had two younger sisters, Jocelyn Mary Catherine and Margaret. Toynbee's uncle, the brother of his father, was another Arnold Toynbee (1852-1883) also a very bright man. Rosalind Murray was Toynbee's first wife (1913), Veronica Boulter became his second wife (1946).